I’ve thought a lot about the reasons that John M.W. Smith’s short novel An Unlawful Act in Libya lingers in the mind. It isn’t just the poignant dilemma of the hapless Egyptian bookseller or the horrible fate of the Libyan taxi manager. Nor is it the deft telling storytelling of a born raconteur, or the nimble economy of style. What I think draws me to Smith is that this little book leaves the reader a little closer to understanding their own humanity: What if I had been Gamal? What if I had been Hamid? Isn’t this the hallmark of enduring writing? In the days when we all read books made from paper, there was a simple test: When you finished a paperback on a train, you had two choices: Slip it between the seats, or put it in your bag. 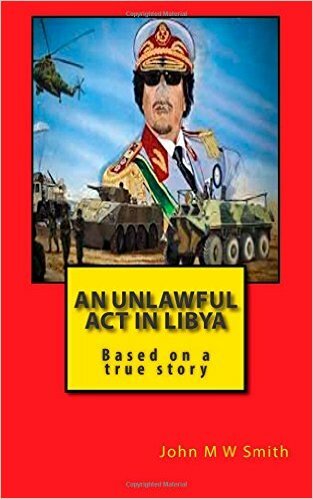 An Unlawful Act in Libya is the sort of book that you wouldn’t leave on the train. Read it and you’ll come away just a little changed. Stuart – Your main characters in An Unlawful Act in Libya are more complex and more sympathetically drawn than the standard ‘bad Arabs’ that we see in a lot of fiction and movies these days. How did this come about? John – Our perceptions are determined entirely by the source through which they are channelled. Depending on a particular time in history when incomprehensible events have taken place, the public mood is suggestible and therefore willing to accept the most uncomplicated answer; there is a lot of fighting and killing that is going on in the Middle East where the Arabs live, so much so that it is spilling over to the West, and this obviously means that the Arabs are bad people, even primitive and bloodthirsty, right? Wrong! You cannot condemn an entire people for the misdeeds of a minority within them. Secondly, people will believe what they want to believe. Sadly, that is human nature. Blame has to be placed at a location which is convenient and will not be a constant and niggling irritation to our conscience. And also sadly, we happily accept the views of the media of our own country, which in turn reflect the needs and demands of the society in which we live. So how are we expected to arrive at the real truth about anything, let alone the truth about the nature of an entire people? Simple. We go and take a look for ourselves. 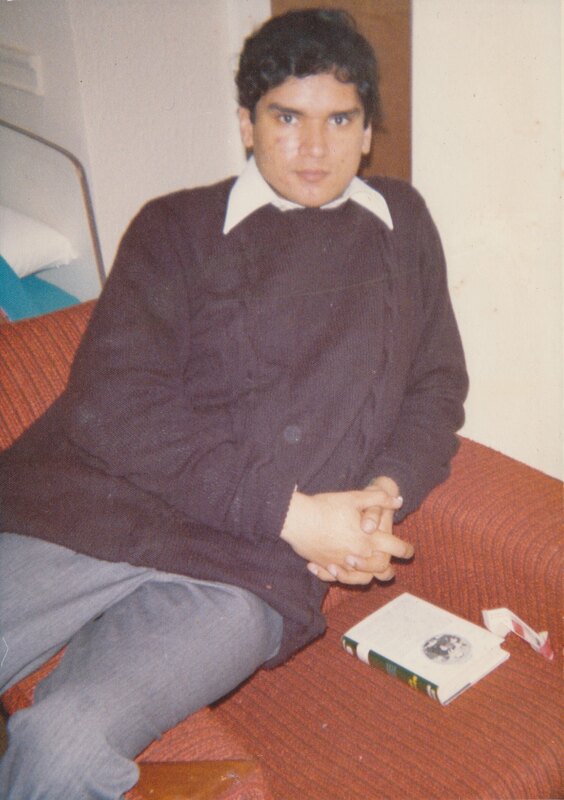 I worked for a big American publisher as an expatriate in Cairo for over a year. I met taxi drivers, and I met university professors, and just about everyone in between. I visited their homes and witnessed them at ease, with their guards down after a few drinks. I had their children crawling all over me and I had their smiling wives force food on me until I could barely struggle to my feet. I listened to their family problems. Their ambitions, hopes and aspirations. Saw the love in their family units. The thoughts and prejudices that shaped their attitudes. And what did I do? I yawned! There were no surprises. These people were no different from all the people I was used to back home. They were utterly and boringly the same. They wanted the same things, they laughed and cried at the same things…… and surprise, surprise, their set of moral principles were the same as ours. This was my experience. How could I then, in all conscience, portray these people whom I had lived with for over a year as caricatures of the devil so frequently found in certain sections of the Western media? Stuart – You’ve mastered the art of the novella form, and I’m jealous! What’s the secret ingredient? I do not consciously set out to write a novella. I am unmindful of how many words are produced in the end. I just try my best to sound interesting and simply come to a stop and I’m exhausted from the effort of doing so. There has to be a remarkable central event, the kind a reader would be unlikely to encounter in his or her 9-to-5 job and visiting the in-laws at the weekend. The ways in which each character in the story responds to that central event have to be very different. I need to focus keenly and make every sentence count, because in that lies the secret of a page-turner. I often do not know how the story will end. I only know that the end has to be utterly convincing. Perfectly reasonable. Wholly possible without too great a leap of faith being demanded of the reader. All I ever need is utter silence. A comfortable room. No interruption by a living creature. Yes, all of this in doses of 6 to 8 hours at a time. Stuart – What are the cultural influences behind your writing? I can spot traces of Spike Milligan. John – As for the cultural influences behind my writing, I am flattered to be even remotely compared to Spike Milligan. Even if his heyday was a bit before my time, I still remember being transfixed to the TV during the rare interview he gave in later life. I didn’t want to miss a word of what he was saying because every word came from his heart. He did not care what people would think of him after what he had said. Image-conscious? Forget it! He would not know what you were talking about. Writers observe closely and often struggle to keep a sense of balance and proportion when arriving at their conclusions. In the end many find it so difficult that they simply home in on prevailing views and anxieties in society and end up saying what they think the readers would like to hear. What the reader can easily identify with, and quickly decide whether they love or hate it. But there are also many writers who observe closely and form their very own “take” based on what they have seen, and they do not care if the conclusions they have come to are in harmony with the prevailing zeitgeist. They are obsessed with telling it as they see it. They do not care who hates it or who loves it. They have not consciously set out to be commercial. They only want you to listen, and they do not want your attention to wander for even a second. Most of all, while you are listening they want you to be entertained and intrigued, for if you are not then how can you be expected to keep listening? My advice to any writer would be to forget trying to cater to a huge market. Concentrate on the market which is most in tune with your thoughts. It may not turn out to be a huge market but you will find it to be a fiercely loyal one…and it may well grow of its own accord if you are good at communicating what you have in your heart. I have been fortunate enough to have travelled a lot, which has given me more than a passing familiarity with many cultures. I really couldn’t ask for anything more. I would like to think that Spike Milligan would have been proud of me. What and excellent and thoughtful interview. Very articulate n well thought out article . One of the best interviews I’ve had the pleasure to read this year. Thanks for your interest. I’d better do some more interviews!